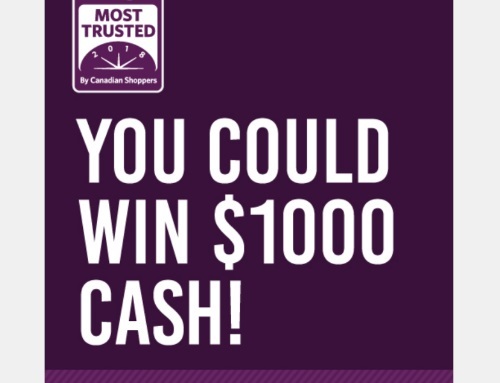 Vote for Canada's most trusted brands in BrandSpark's Most Trusted 2018 by Canadian Shoppers survey! Enter the contest for a chance to win $1000 cash! Quebec is excluded. Contest closes Apri 15 2018.